If you enjoy listening to AM and FM while on the go, you will love the Sangean DT-200X. 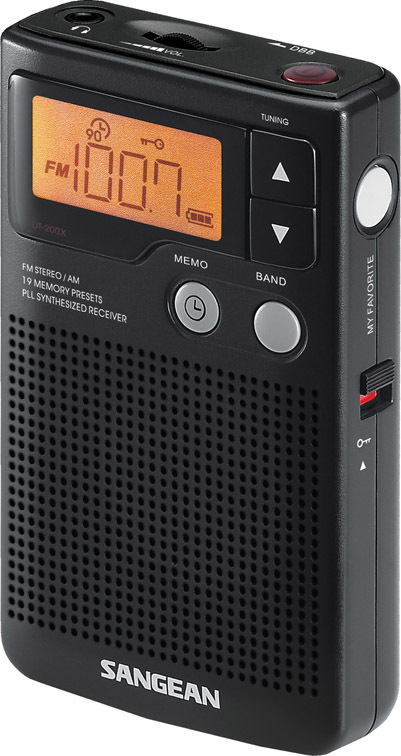 About the size of a pack of cigarettes, it will fit in your shirt pocket and receives AM, FM and FM stereo. 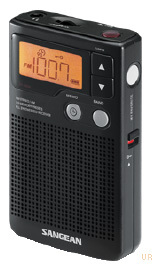 The large backlit LCD display indicates your precise frequency. 19 random memories are provided to store your favorite stations. Tuning on all bands is easy with an up and down button. Scan Tuning will search the bands for you and stop for 3-4 seconds on each active signal. 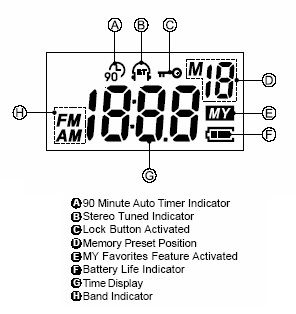 FM tuning increment is 50 kHz. 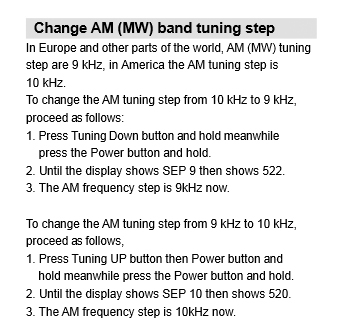 The AM band tuning step may be set to 9 or 10 kHz. It has 90 minutes auto shut-off. Other features include 90 minute auto-shutoff, lock switch, clock, deep bass boost, belt clip, built-in speaker, stereo-mono switch, earphone jack (3.5mm) and light-weight stereo earplugs. Ninety day limited mfg. warranty. Requires two AA cells (not supplied). Coverage: 520-1710 kHz and 87.5-108 MHz. Size: 4 3/8"H x 2 5/8"W x ¾"D. Weight 3.8 oz. without batteries. Copyright 2009-2019, Universal Radio, Inc.